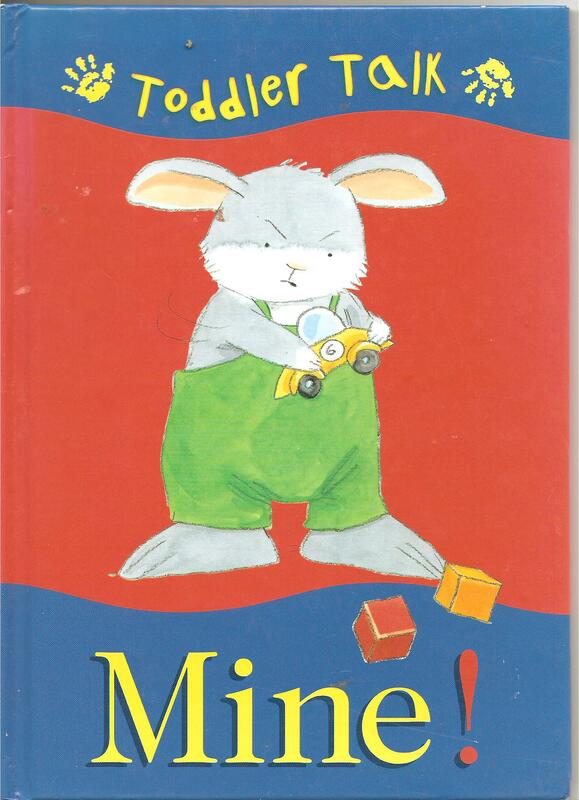 Let me share Mine!, written by Nicola Baxter and illustrated by Jan Lewis (Armadillo, 2002). It’s part of the Toddler Talk series, together with Yuk! and No! 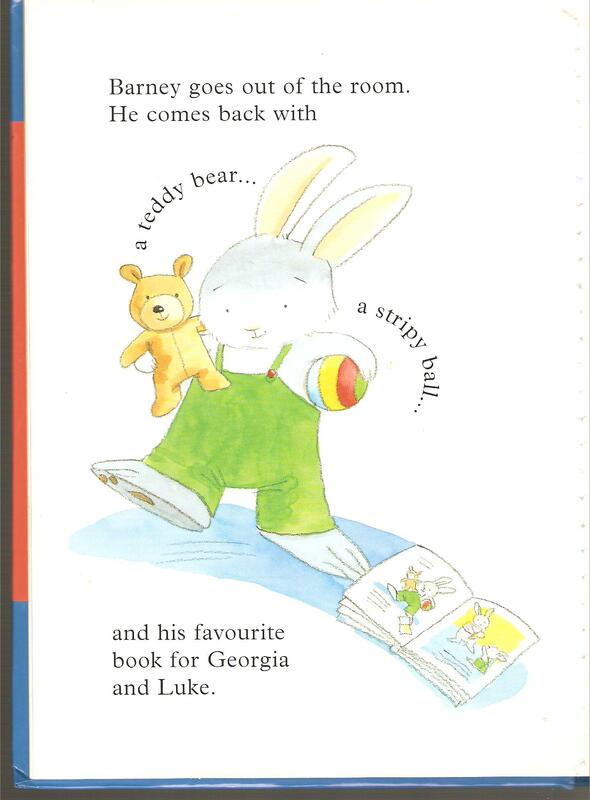 Barney the bunny doesn’t want to share his toys, but after being denied ice cream he is persuaded to bring out “his favourite book”, which contains a picture of Barney bringing out his favourite book. 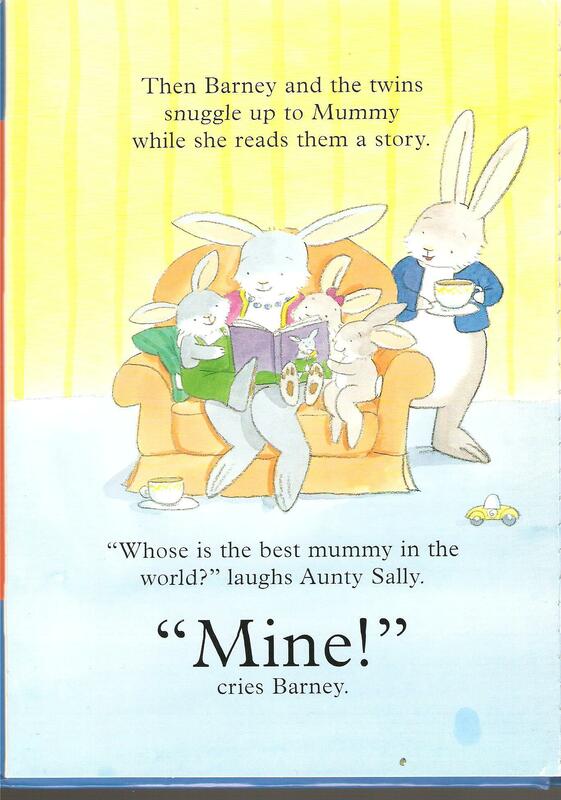 And it all ends well: “Then Barney and the twins snuggle up to Mummy while she reads them a story.” Mummy reinforces the lesson by reading them their own story.